Aaron B. treats us to the Rules of 3 for earning player investment. Fitz shares with us thoughts on memorable NPCs and engaging combats. Rodney Sloane offers us good advice on how not to be boring. Sir Introcaso aids us with several good PC engagement tips. The boys at RPG Alchemy serve up a twist from a player’s point of view. Vb Wyrde answers the core questions of the carnival with advice about characters, story line, and story hooks. 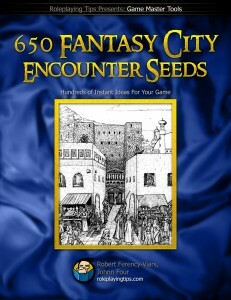 6d6 rolls in with 5 Simple Ways to Inspire Your Tabletop Roleplayers. 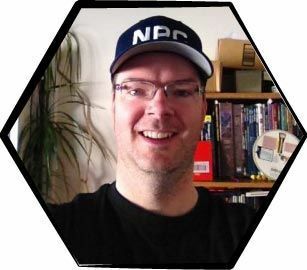 And Phil at Tales of a GM proffers solid advice about building player engagement. Thanks to all the bloggers who participated in this month’s carnival! Some excellent ideas here for treating our players to even better sessions. 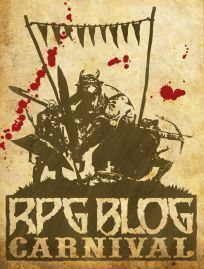 The RPG Blog Carnival moves along now to March’s host, Accessible Games. The carnival kickoff link will be available here when ready.